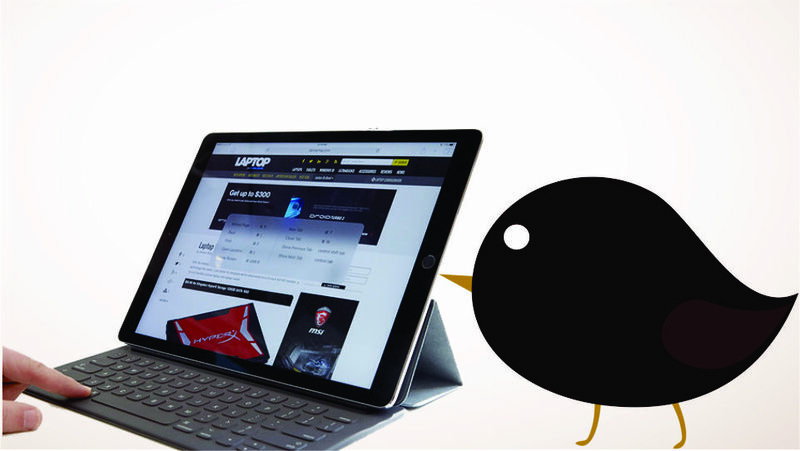 Apple iPad Pro 12.9 inches changes the trend of using the iPad for consuming content only. Now it can be used for browsing the internet or watching movies. New feature and accessory of Apple pencil let you draw sketches comfortably and carry on your office work. At first glance, an iPad Pro 12 inch looks similar to a hefty iPad Air 2. Its dimensions are measured at 221 x 306 x 6.9mm is not actually that big? It is thinner than the iPhone 7 and slightly heavier than iPhone 7. The 12.9-inch iPad Pro is thinner than iPhone 7 and weighs just over a pound and a half. Feel reassuringly firm in the hands with the help of aluminum unibody. Apple first time introduces the largest screen in iPad Pro’s 12.9 inches and it is also one of the biggest screen and highest resolution among the Android competition. It is featured with a resolution of 2731 x 2048 (264ppi). Apple’s visual quality with multiple viewing angles allows you to clearly look at the screen from any angle. Its color calibrator measured at an excellent 98.2% sRGB color gamut coverage and brightness is slightly higher than average at 393cd/m2. With a fantastic contrast ratio of 1552:1 and black point of 0.25cd/m2 is the lowest from the non-OLED display. An iPad Pro 12.9 inch is equipped with a dual-core A9X processor based on A9 chip similar to iPhone 6s. iPod pro’s combination with powerful GPU makes their competitors wiped out from the floor. It makes a huge score of 5476 in Peacemaker browser test, GFX Bench Manhattan onscreen test at 33.5fps and 80fps in off screen. It even gains a score of 5384 in GeekBench 3’s multi-core test, leaving behind many Quad core tablets in this race. In fact, these speeds are much better than spending a lot of budget in buying of Windows laptops. The iPad Pro’s outsized chassis enabled Apple to get a massive battery of 10307mAh. This will be enough for powering such large screen, it will last for almost 9 hours and 8 minutes of video playback with a screen brightness of 170cd/m2. iOS 10 is used to operate iPad Pro 12.9 inch adding some extra features used only with this device. New multitasking options are ranked higher among them. Two modes are introduced with it. Slide Over, one can slide a compatible app in from the side and give it focus. For example quick access to email without letting down your browser. Split View allows you to run a couple of apps at the same time by allocating the half screen for both apps. But this feature is dependent on app support, productivity apps and Apple’s built-in apps support it like Microsoft Office but Google does not update its Google Drive to support this new feature. It is assumed that developers can’t take much time to update this app. On screen, the keyboard is provided with Apple’s iPod Pro 12.9, which uses extra available resolution. This keyboard allows users to get a dedicated number keys and shortcuts to copy, cut and paste. It works without a dedicated keyboard in much short time as in the old iPad keyboard. This feature keeps much attraction for users doing office work on iPad. It means they can send documents and large files without spending their efforts in finding intermediate sources.